As you must no doubt be aware there is much excitement in the capital as filming of Bond 24 SPECTRE is continuing in London with the action taking place back on the Thames yesterday, Camden Locke the day before and that evening in Notting Hill. The Bond team seem to be burning the candle at both ends trying to complete filming in London as quickly as possible before moving on to other locations. Probably in an effort to minimise spoilery leaks in the capital, but at the same time - to give you some insight into how us Londoners feel about having *arguably* Britain's greatest literary and cinematic spy back on home ground, in London read the tweet below from the Camden location. But it was on Monday that James Bond (Daniel Craig) exploded back into action for Bond 24 with his first day of shooting SPECTRE in London, outside of Pinewood Studios. I'm sure you are thinking we've heard the stories and seen the pictures but did it happen if The Establishing Shot didn't cover it? Well actually we did shoot in early, but we have lives and were otherwise occupied at the time. Posting at this stage I don't think there is anything here that may be considered to spoilery or compromise the location shoot and again I have intentionally left out certain details of the action but eagle eyed Bond fans may be able to piece together bits. I had my compact camera with me rather than my large obnoxious one, so the quality isn't that great but thanks to Tim Merry a courteous professional on the scene who kindly allowed us to use two of the better photos for this post - including one which captured what is the greatest Bond moment for me personally yet - as the fourth wall came tumbling down. See further below. 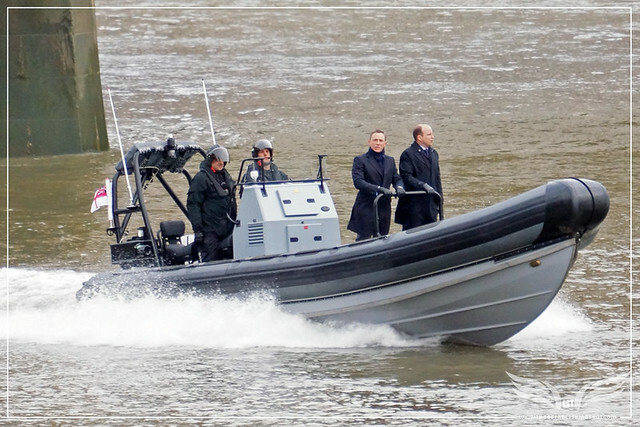 The Establishing Shot: SPECTRE ON LOCATION - DANIEL CRAIG & RORY KINNEAR ON A HIGH SPEED MST MILITARY RIB FILMING SPECTRE - THAMES, VAUXHALL CROSS, MI6 SPECTRE LOCATION - LONDON, a photo by Craig Grobler on Flickr. Also some fans raised concerns about my Skyfall Vauxhall Bridge location visit video giving away too much - so this time I have tried to make the video a little less polished and spoilery but it is what it is. I made the video awhile back before all the other videos were released online so I don't think there are any new spoilers. But you shouldn't read any further if you want SPECTRE to remain wrapped in mystery. By now you probably know that both 007 agent James Bond (Daniel Craig) and Bill Tanner (Rory Kinnear) were spotted on the river Thames on a RIB (Rigid Inflatable Boat) or rubber duck as it is known in some parts of the world. It is always awesome to see Royal Navy Commander James Bond revisiting his roots and back on the water where his career began. Living on the river Thames you sync to the tide and as well as the natural environment you become aware of nautical traffic and their routines. Like the; business commuters, the commercial boats, the leisure cruisers, the learner sailors, the thrill seekers, the self powered urban adventurers, training olympic hopefuls, fitness fanatics, the frankly bizarre (I've seen lilos, tire tubes, even what looked like a tin bathtub with shower head commandeered by I assume students pranksters, a speeding Jeremy Clarkson, one swimming David Walliams and even a whale), the pre and post holiday travellers, the port authority guardians, emergency services at high speed sirens blaring & lights blazing, on patrol or picking up groceries, the occasional subtle formidable military maneuvers (most impressive are the rarely seen stealth hovercrafts), the festival or royal flotillas, as well as the out of the ordinary boats. Those are the kind that we have had my interest over the last couple of months most noticeably - the RIBs charging in formation. They certainly had my attention a couple of days during early November. The Establishing Shot: POSSIBLE SPECTRE RIB TEST RUN - IMPERIAL WHARF BATTERSEA, LONDON, a photo by Craig Grobler on Flickr. Although filming on the Thames at Vauxhall Cross may have taken a day or two. Planning has been going on for considerably longer as well as test runs well before shoot day. The Establishing Shot: SPECTRE ON LOCATION - SUBTLE SPECTRE SPY LOCATION MARKERS - VAUXHALL CROSS, MI6 SPECTRE LOCATION - LONDON, a photo by Craig Grobler on Flickr. A little closer to shoot day, on Friday 12 December these very subtle SPY direction markers for the SPECTRE Tech and Location units popped up nearby MI6. Over the weekend the SPECTRE base unit made its home nearby. You may be interested to know that its the same place Mission: Impossible 5 were doing some secret second unit shooting under the codename - MF (Mission Force) a week prior to Tom Cruise's arrival in London. The Establishing Shot: SPECTRE ON LOCATION - SPECTRE UK UNIT BASE - UNIDENTIFIED LOCATION - LONDON, a photo by Craig Grobler on Flickr. Come Monday morning early - after some discussion with the 007 crew about where I could take photos from I made my way to a snazzy little spot, bear in mind I used to live in the vicinity - specifically chosen because of its association to Bond, so know that part of the river very well. The 007 team had a number of boats on the Nine Elms stretch of the Thames River, about six if I counted correctly. Valiant an 8.5m RIB powered by a Suzuki 250hp four stroke outboard actively shadowing the runs presumably to be close by if needed. A 8m Halmatic Thames speedboat Lima Lima I previously used on Guy Ritchie’s Sherlock Holmes skirted the edges of the action and keeping river traffic at bay. Whilst Windrush 46, a custom built luxury taxi ferried the talent and hosted special visitors. The Establishing Shot: SPECTRE CAMERA BOAT 007 CREW, CINEMATOGRAPHER HOYTE VAN HOYTEMA & SECOND UNIT DIRECTOR ALEXANDER WITT - THAMES, VAUXHALL CROSS, MI6 LOCATION - LONDON, a photo by Craig Grobler on Flickr. A specially made 28ft/8 m low vibration Ecocat camera boat fitted with twin Suzuki 60hp four stroke outboard engines, packed with riggers, camera operators and technical crew. A waterproofed camera on crane arm. All overseen by Cinematographer Hoyte van Hoytema and Second Unit Director Alexander Witt. The Establishing Shot: SPECTRE ON LOCATION - CAMERA BOAT 007 CREW, CINEMATOGRAPHER HOYTE VAN HOYTEMA & SECOND UNIT DIRECTOR ALEXANDER WITT IN FRAME - THAMES, VAUXHALL CROSS, MI6 LOCATION - LONDON, a photo by Craig Grobler on Flickr. The Establishing Shot: SPECTRE ON LOCATION - CAMERA BOAT 007 CREW, CRANE CAMERA & FIRST LOOK AT SPECTRE CLAPPERBOARD FROM THE LOCATION - THAMES, VAUXHALL CROSS, MI6 LOCATION - LONDON, a photo by Craig Grobler on Flickr. The Establishing Shot: SPECTRE ON LOCATION - THE PREDATOR DIRECTING BOAT 007 CREW COMMANDEERED BY SAM MENDES - THAMES, VAUXHALL CROSS, MI6 LOCATION - LONDON, a photo by Craig Grobler on Flickr. The mothership - The Predator, a 10m Blyth Catamaran on board a team headed by Director Sam Mendes orchestrating the action with Visual Effects Supervisor Steve Begg, a second DSLR camera rig handled by First Assistant Director Michael Lerman (I think) the footage I assume will be used for the 007.com featurettes. The Establishing Shot: SPECTRE ON LOCATION - THE PREDATOR DIRECTING BOAT 007 CREW COMMANDEERED BY SAM MENDES, VISUAL EFFECTS SUPERVISOR STEVE BEGG ON THE LEFT - THAMES, VAUXHALL CROSS, MI6 LOCATION - LONDON, a photo by Craig Grobler on Flickr. And finally the 8m high-speed (85 kph) waterjet propelled MST (Marine Specialised Technology) 800 Seaboat RIB or the SPECTRE boat as it will now be known - transporting Daniel Craig and Rory Kinnear piloted by two military looking escorts. MST or Marine Specialised Technology specialise in boats for for military or anti -piracy use, clients include the MOD. The 800 Seaboat is a legitimate rapid response military specification vessel or as it is euphemistically know -"workboat". 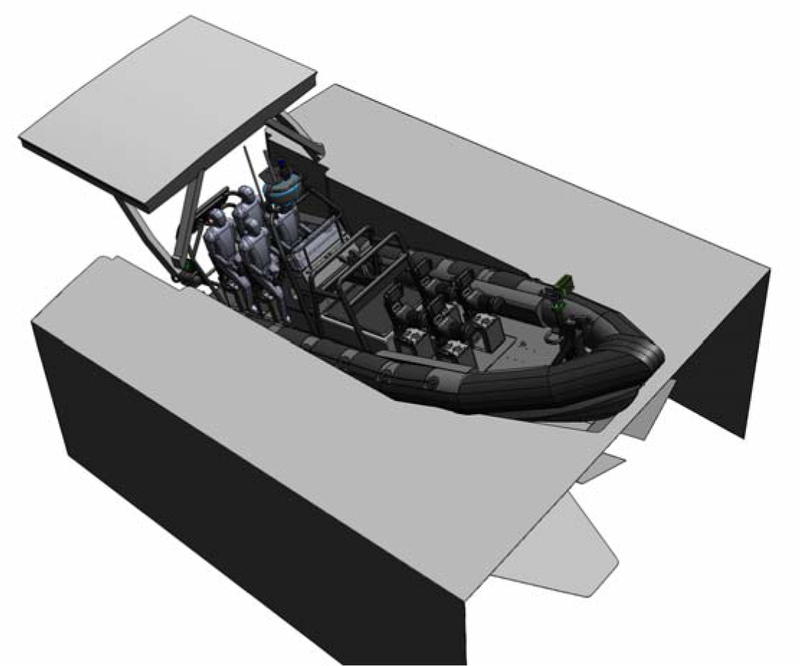 The 800 Seaboat is a new "workboat" design, smaller than previous models and has a self righting system fitted. "The company has developed a smaller 8.0m version to meet market demand and the new 800 SEABOAT is now available for clients requiring an inboard diesel stern drive or water jet propelled anti piracy solution capable of mounted weapons, up to 8 personnel onboard and a 40 knot performance." Thankfully it appear that Sam Mendes is continuing the "real world" technology and gadgets of Bond, giving the new Bond films gravitas and anchored in credibility. 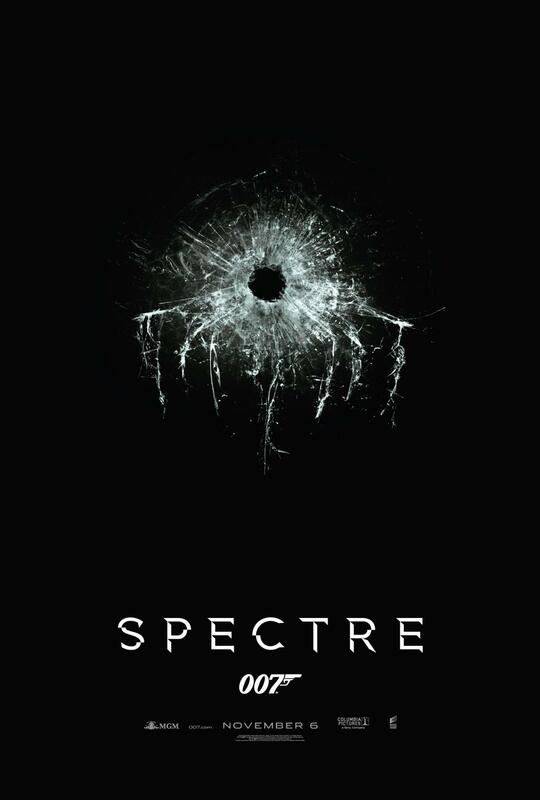 Hopefully this will continue to permeate all aspects of SPECTRE. Which brings me to an ironic tinged quirk - if you browse the MST special projects products catalogue (http://www.mstltd.com/special-products/) you'll see a number of fantastic marine vehicles with enhanced features that includes: airdrop, covert, bullet proof, submersible and drone functionality. Any of which could be straight out of a Bond film, but possibly deemed to far fetched for modern Bond audiences. Even the 800 Seaboat has Bond like functionality - as it can be launched from a Stern Ramp (which you can see demonstrated further below) as well as presumably docked. Below is a video of another MST model RIB using the same Stern Ramp launch functionality the SPECTRE MST 800 has. The Establishing Shot: SPECTRE ON LOCATION - 007 CREW SAFETY RIB, CAMERA BOAT & SAM MENDES' PREDATOR PREPARE FOR A TEST RUN - THAMES, VAUXHALL CROSS, MI6 SPECTRE LOCATION - LONDON, a photo by Craig Grobler on Flickr. The Establishing Shot: SPECTRE RIB TEST RUN IN FRONT OF MI6 - THAMES, VAUXHALL CROSS, MI6 SPECTRE LOCATION - LONDON, a photo by Craig Grobler on Flickr. After a couple of runs without the SPECTRE boat, the action really kicked off with a sunglassed Royal Navy Commander James Bond (Daniel Craig) and M's Chief of Staff Bill Tanner (Rory Kinnear) being speedily taxied along the Nine Elms stretch of the Thames, past St George Wharf, under Vauxhall Bridge out in front of the real & Bond world MI6 (Secret Intelligence Service) building at Vauxhall Cross. Daniel Craig was wearing a dark blue overcoat which I assume to be the same Tom Ford Overcoat as worn in Skyfall. That would make a great Bond intro scene the RIB tunneling through London ending with the reveal of the MI6 building. I'm just saying. After a couple of runs Daniel Craig's sun glasses came off and some more runs were filmed sans the glasses. In case you are wondering about the safety aspects of two highly paid actors blasting their way down the Thames on a speeding boat - earlier I saw Daniel Craig and Rory Kinnear before they started shooting their scenes and they both seemed to have life jackets on which were under their coats when filming. The video below shows the 007 team preparing and doing a run without the SPECTRE boat before some runs with Daniel Craig & Rory Kinnear. Numerous runs were filmed before the light disappeared as the sun was hidden behind clouds changing the mood of the already icy Thames. And just like that Daniel Craig and Rory Kinnear shot off down the Thames. Ok not really they actually went the other way as the team took broke for lunch and headed to the Location base at the Westminster Boating Base. To the contrary of early reports everyone involved seemed in high spirits despite the repeated blasting runs in absolutely freezing conditions. Sam Mendes, Daniel Craig and Rory Kinnear were even sharing laughs and Daniel Craig smiling throughout. But once the cameras were rolling it was all steely looks and determination. And as I mentioned earlier in what will go down as my favourite Bond related moment yet - when Daniel Craig broke character gave us a wave back. Yes that really happened. Daniel Craig in his Bond persona waved back at me from his SPECTRE boat and the moment was captured. He could be waving at anyone I hear you say - well thankfully Tim Merry was on hand to capture the moment. Even Rory Kinnear seems to be about to crack a smile. 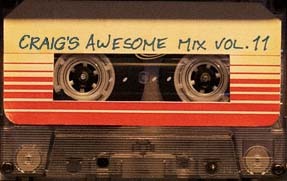 I really shouldn't be this excited I am a grown man, but it's like Superman rescuing your cat or Batman dropping out of the sky and giving you his high tech (pre cowl bat ears) listening device as proof. Well my best Bond related moment that is until late next year, hopefully. Many thanks again to Tim Merry for the high quality shots. James Bond is the longest running, and one of the most successful franchises of all time, with twenty-three films produced and the twenty-fourth about to go in to production. Michael G. Wilson and Barbara Broccoli succeeded Albert R 'Cubby' Broccoli and have produced the past seven Bond films together, including the highly successful Casino Royale, Quantum of Solace and Skyfall. 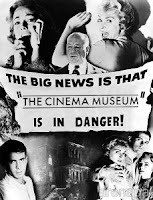 All of the James Bond films have been made in collaboration with Metro-Goldwyn-Mayer Studios or United Artists, its predecessor.